By Dylan Langlois in Internet. Updated on November 13, 2017 . There is certainly an overabundance of project management and team collaboration apps these days, making it hard to choose the best one for you or your team. I myself, have had trouble choosing which app is best and have finally discovered one that I admire and recommend: Azendoo. Azendoo brings a fresh approach to team collaboration with a lot of handy features perfect for managing projects remotely. 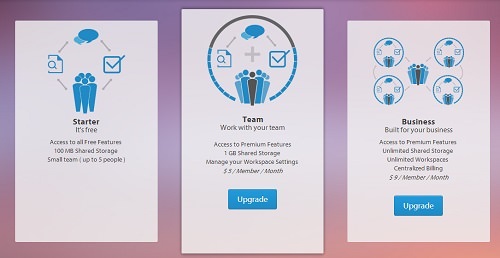 With backup from Cloud services and apps like Drive, Evernote, Dropbox, and Box.net, plus advanced team messaging that supports voting and out of the ordinary file sharing all packaged up in a gorgeous user interface and great navigation, Azendoo is worth checking out. Unlike other Web apps Azendoo provides a Google sign-up that instantly connects you to your Google account and available content from Google Drive. After connecting your Google Drive account you can then create your workspace using an easy step-by-step process. 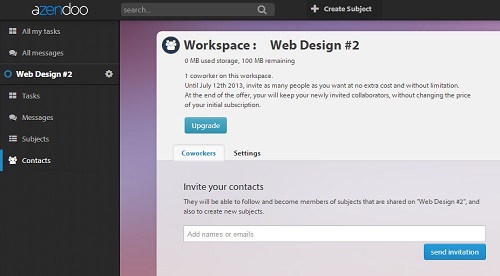 After you have finished signing up and you have created your workspace you can now go ahead and invite your co-workers and anyone else in your team working on the workspace or project you created. Currently, Until July 12th 2013, Azendoo allows you to invite as many people as you want at no extra cost and without limitation. At the end of the offer, you will keep your newly invited collaborators, without changing the price of your initial subscription. Just like any other project management apps the basis of your projects are the tasks you have assigned for that project. Unlike other Web apps, there is only an option to set a task for certain dates and not set a long-term goal for that task. When you first add text, all that is required is a name. No description, tags, target date or the likes until you click Edit or Settings for that one task. I myself, would say that is a bit easier and quicker to create tasks; but for some that may want more options from the get-go. Editing a task allows you to attach files to that particular task, add descriptions, target dates, goals, team members and more. This sidebar edit panel is also easy to navigate in and has a nice design. Azendoo also brings a fresh approach with speaking to team members, sharing files via all your storage services, sharing images and video, scheduling and lots more. The messaging system is quite simple to use; to send a file you simply choose which service you would like to send with: Google Drive, Evernote, Box.net, Dropbox, or simply using your computer’s files. 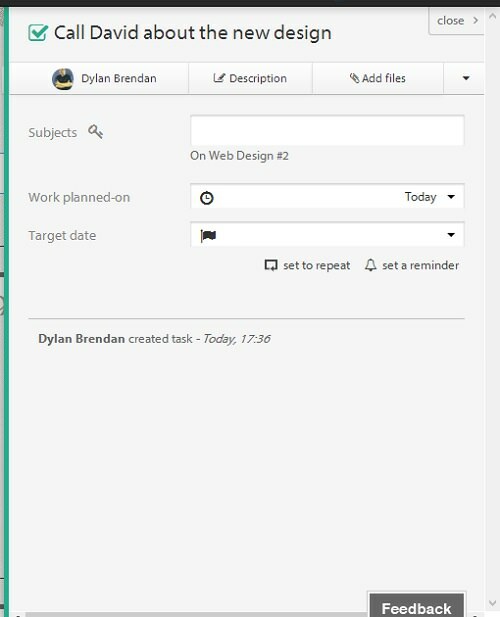 Another cool and noteworthy feature of the Azendoo messaging system is the ability to add subjects to your messages, whether they be schedules, tasks, events, projects or even workspaces. You can also ask team members to vote on a subject or change in the project. Voting supports everything messaging does including the ability to add projects, workspaces and so on. Subjects in Azendoo allow your team to keep active in one project or subject of your choice. For example if you had to give out many tasks to each of your team members or a group of team members based on different projects or work, you can easily create tasks and assign them to any of your team members. Within each subject you can easily share links, images, documents, files, messages and even send entire projects back in forth within only that one subject. This is ideal if you have different departments like designers and developers and only want to collaborate on those tasks only. Themes are great if you want to add your company branding or your personalized look to Azendoo. 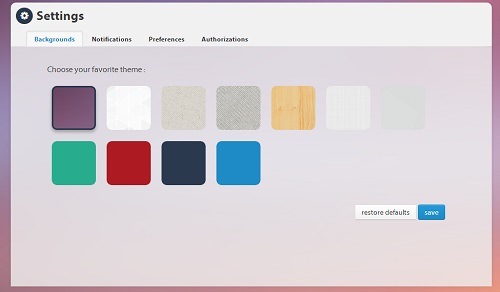 Themes allow you to change the color scheme of Azendoo, the background image and also the secondary app logo. One of the smaller features of Azendoo includes a notification system tailored to your needs. Whether you want to get notified of team members finishing a task, creating a new workspace, reaching a deadline or of new messages in your Inbox, you can get notified easily. Settings are there to allow you to receive the notifications on your mobile phone, email or in-app. The pricing for Azendoo is decent, especially when compared to similar Web apps. Simply put, the amount of money you pay is the amount of storage you want per person. For example, if you want 1 GB of shared storage per person you would pay $5/person. 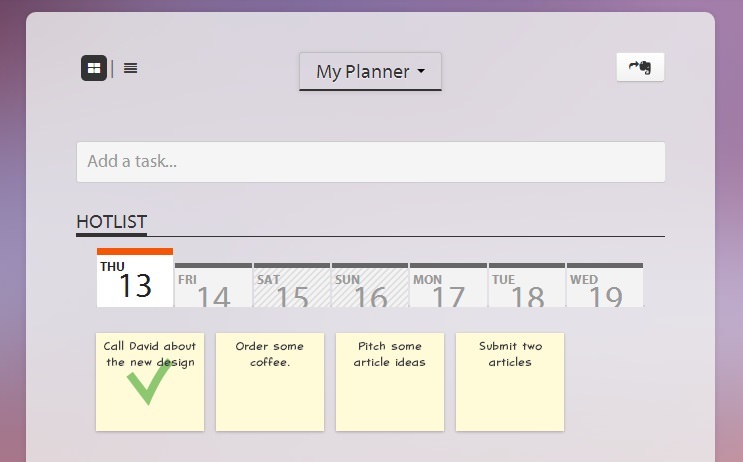 Easily organize your tasks, set schedules and more. 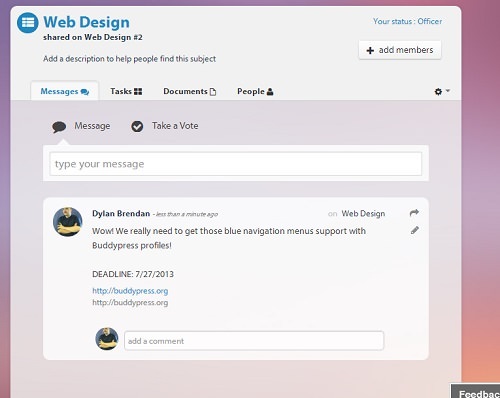 Easily take votes about your project, changes or different tasks with your team. No main dashboard (only a sidebar menu) to show all your projects on one easy accessible page. No quick-nav button for exporting to Google Drive. Only Evernote. No list option for messages. For some, the "Pay for storage person" is not convenient for them. No alternative to subscribe. No long-term task management. Only scheduled by date. So now the question lies: Is Azendoo really worth it? My answer is yes, Azendoo is worth giving a try. The design of Azendoo is beautiful and the layout, menu, screen and dashboard are super simple to navigate through.